Opera is one of the most beautiful art forms to have evolved in the modern times. The stories told through the medium of Opera touch your heart directly and are etched in your memory forever. Almost every country has adopted this art form and uses it as a medium to tell stories with a little tinge added from the styles of their own culture. 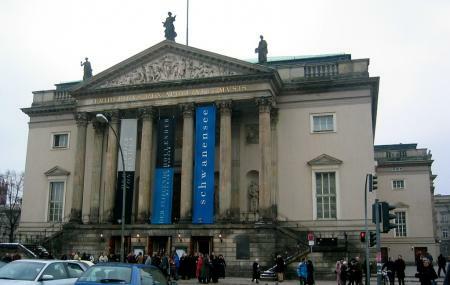 German State Opera is another such attraction to give you a glimpse of the German culture through on of the best mediums available to understand a story. Also, visit the popular attractions in the city by following Berlin itinerary 4 days. Ticket price vary according to the shows. Open until 7pm on days without permission. How popular is Berlin State Opera? People normally club together Memorial To Homosexuals Persecuted Under Nazism and Medical Museum while planning their visit to Berlin State Opera. People also prefer to end their day with Berlin State Opera. Beautiful old traditional opera house with all the decorations and small details. Loving the house and its atmosphere! Also, the whole surrounding area is pretty with University buildings. Book your intermission drinks and snacks in advance to get a table since they are always fully booked. Cloakroom service included in the ticket price. Wonderful. You have to buy tickets previous to your visit to Berlin if you want to see an opera. Highly recommended. A lovely smallish (about 1300 capacity) opera house. The recent renovations improved the acoustics however they are still not perfect. An enjoyable experience nevertheless. Very nice environment. If you are tourist is a nice experience to have in Berlin!